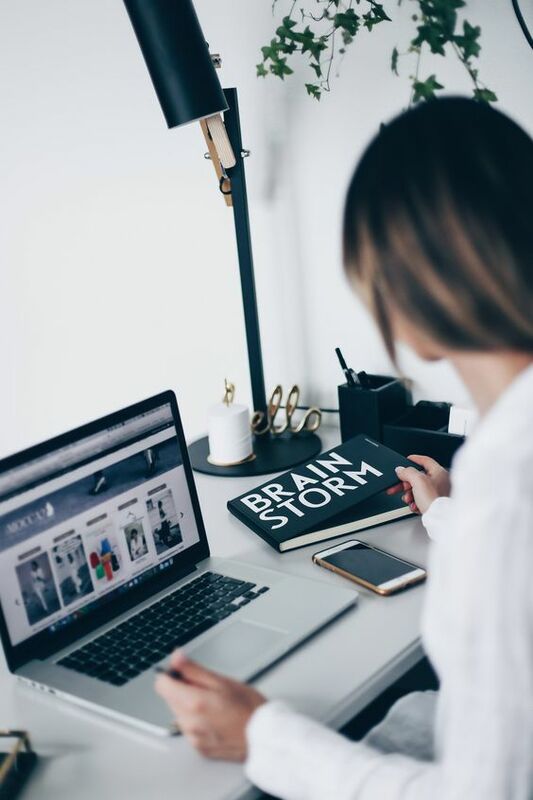 Would you agree that having a niche and a specific focus for your blog is THEE number one criteria for ensuring blogging success, and yet a lot of us bloggers simply glance over that aspect of our blogs like it doesn't matter or have a huge bearing on how well our blogs do - well it does! Because here's the thing: choosing a niche for your blog is that one move that will give your blog a focus and direction whilst also giving you - the Blog's Editor a clear anchor from which to create content from because you'll be clear on WHAT kind of content to create because you'll know from the word "go" WHO you're creating it for! And that's invaluable, especially when it comes to planning your content calendar for the week, month or even for the year! 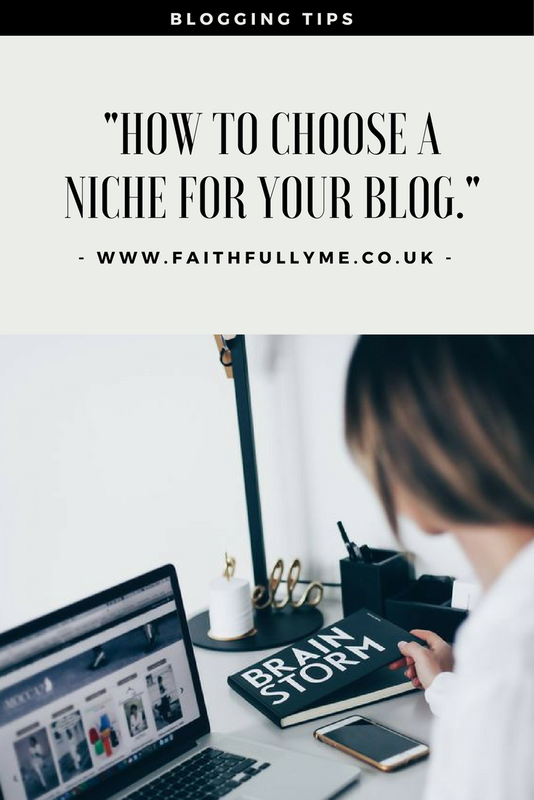 But before delving into the importance of narrowing down a niche for your blog, you may be wondering: "What do you mean blogging niche?" Well, allow me to explain! A blogging niche is a focus or direction that your blog is geared towards. It's a barometer that determines WHO and WHAT your blog is all about without necessarily having to spell it out! A blog with a great niche should instinctively resonate with its intended readership from the get go! That's how you know you have a great niche - when your blog's reader can relate to something that your blog is about! The best way to choose a niche is to be super specific about 1) WHO you are here to help, 2) HOW you help those you help and lastly 3) WHY you help those you help! Get those 3 criteria right and you'll be well on your way to having a niche blog that speaks to your ideal reader. It's actually very similar to defining your blog's brand identity, which makes sense because your blog's niche is, and should be part of your blog's branding! Having a clear niche for your blog will help you attract your ideal readers - which is great for improving your site's google ranking position. Plus it's great for ensuring you have return visitors to your site because your readers will have/feel this intrinsic affinity with what your blog content is all about - and that is key! Having a niche narrowed down will help you know how to monetize your blog - especially if you want to create things like E-courses, webinars, Ebooks, etc. as you'll know EXACTLY WHO to be creating your E-Products for, and that's invaluable! Maybe you've thought about it but are not quite sure what kind of products to create for your readers?! Then take a peek at our "Create With Faith Blog Shop" HERE for a bit of creative inspiration! Similar to reason number 1 above, a niche blog always resonates with its readers to the point that it compels them to be super engaged with the blog by way of leaving blog comments, as well as connecting with your blog on social media channels - which is amazing, especially if you hope to leverage yourself - the Blog Editor as an Influencer and reach out to Brands for Sponsorship opportunities! If maybe you're not quite sure how to leverage your blog for Brand Sponsorship opportunities, then look-up this post on How To Be An Influencer And Attract Brand Sponsorship Opportunities. In an ideal world, what would I like to write about? This may seem like a simple question,but you've no idea how eye-opening it could be, because the answer to that question will be the beginning of your true passion and what your blog should really be about if it so resonates with its intended readers! The best blogs are written by people with past or current experience doing what the blog topic is all about, because here's the thing about blogging: a great blog, at it's core, should first and foremost be a resource for learning/and or entertaining! That's what blogging success stems from - and using your knowledgeable experience in narrowing down your blog's niche certainly come in handy in attracting your ideal tribe! So use your experience to help you define your blog's niche. What kind of people do I see myself writing for or connecting with through my blog? As in: who is my ideal reader? How old is (s)he? How much do they earn?, etc. Determining the demographic (ie a certain type of people) you see yourself helping or connecting through your blog will help you know what content to write and produce, plus, it'll be great for partnering with brands for sponsorship opportunities because they'll know what your blog is catered towards. Just don't forget to create a Blog Media Kit and your "Blogger CV" when reaching out to Brands because the'll want to see them before they offer you sponsorship! Don't have media kit or a blogger CV/Resume??? Go to our Create With Faith Blog Shop - HERE and check out our Lauren Lancaster Blog Kit Package and our "L|M Blogger CV/Resume. What am I feeling is lacking in the blogosphere? Now, this can be a tricky question to answer, but recognizing a need to fill is a great way to really create a niche blog because you'll be filling a gap in the market. For instance, instead of focusing your blog on just fashion,it could be fashion for the plus-sized, middle-aged women who've undergone and survived cancer and now they want to use fashion to really embrace their femininity again and feel beautiful! Do you see what I mean by filling a need in the blogosphere?! Now, I hope these tips were super helpful to you - if you have any thoughts, I'd love to hear them in the comments section below.